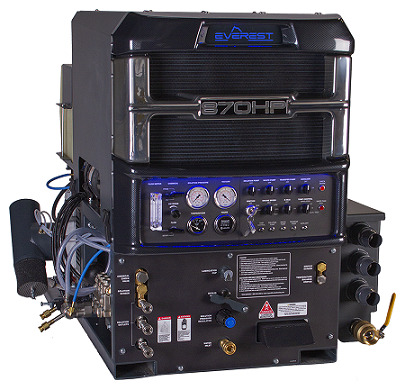 Delivering serious power for the most serious cleaning and restoration professionals, the Everest 870HP is the culmination of Prochem and Sapphire Scientific innovative engineering. 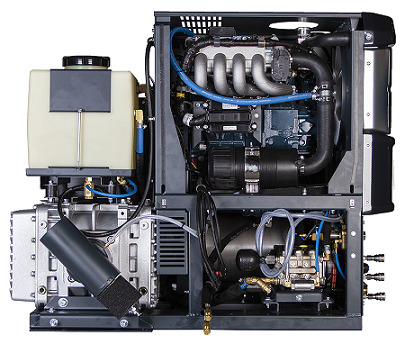 Legend Brands has paired a liquid-cooled fuel-injected Kubota 4-cylinder engine with a Eurus vacuum blower to deliver truly industry-leading power, performance and durability. Maximum extraction – operate with 1, 2 or even 3 wands with ease. Nanotech Cerakote® coating lowers exhaust components’ heat levels by 30% or more. 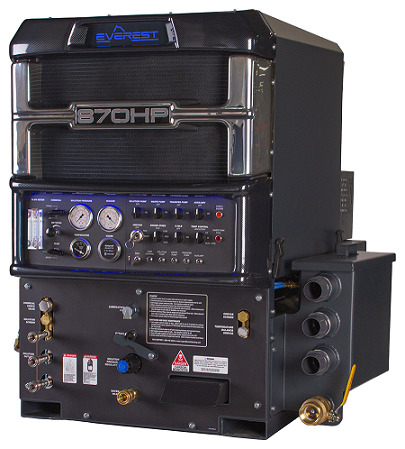 Economical - E-Idle system can reduce fuel consumption by up to 23%. 1. Finned stainless steel tube coil with automatic diverter and four heat settings. 2. Engine coolant plate provides rapid cleaning solution preheating and reduced engine coolant temperatures. Prefilter box: Stainless steel basket for easy cleanup between jobs. Dimensions (W×H×D): Console: 43 × 42 × 53 in. Package: 62.5 × 42 × 66.5 in.